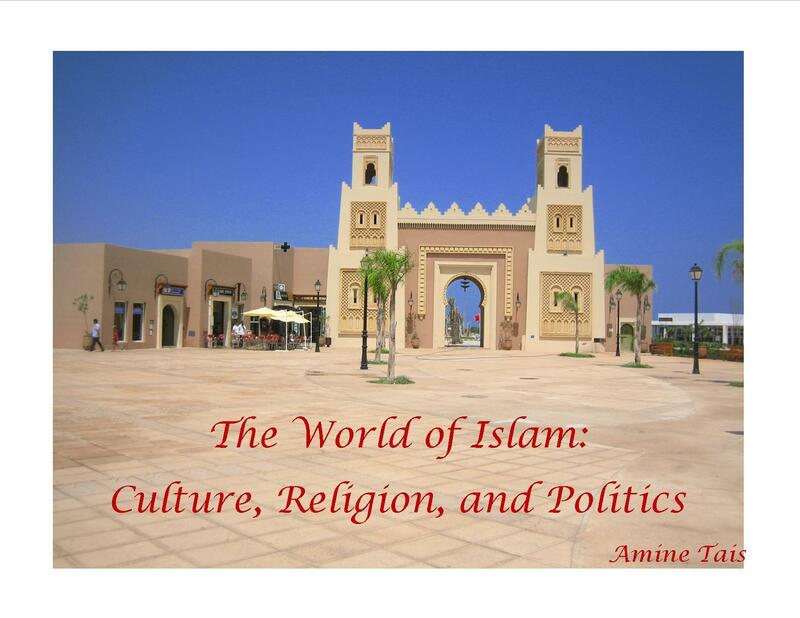 This is my introduction to the World of Islam: Culture, Religion, and Politics podcast. Why a podcast on this subject? Why now? This episode of the World of Islam starts a historical survey of Islamic thought by looking into the world in which the religion of Islam would eventually develop. We will briefly discuss the Near East in late antiquity in general as well as introduce Judaism and some of the Jewish communities of the time. This episode of the World of Islam continues looking into the world in which the religion of Islam would eventually develop. We will take a brief look at Christianity and Zoroastrianism in the Near East of late antiquity. This episode of the World of Islam provides a short introduction to Arabia on the eve of the movement of Muhammad. Among other things, we discuss the problem of sources for the modern historian, the characteristics of Arab life, the religious perspectives of the Arabs, and the relation of Arabia to the two major empires of the time. In this episode of the World of Islam, we continue our survey of the history of Islamic thought, by looking at some of the difficulties inherent in approaching the life and career of Muhammad. We consider what Muslim sources tell a modern historian about the Prophet of Islam. This episode of the podcast presents a summary of what the traditional sira tells us about Muhammad's life in Mecca, including his early life, the start of his mission as a prophet, and the difficulties he encounters in this environment. Episode 7 of the podcast considers what the traditional sira literature says about Muhammad's life and career after the hijra from Mecca to Medina in 622 CE. Among the topics discussed are the military conflicts between Muhammad's followers and their Meccan enemies, the clashes with the Jewish tribes of Medina, the conquest of Mecca, and the unification of Arabia under Muhammad's leadership right before his death in 632 CE. Episode 8 of the World of Islam Podcast takes a look at some seemingly controversial elements contained in the Sira literature. The elements that are briefly discussed include the so-called Satanic Verses, the marriages of Muhammad to Aisha and Zaynab, the assassination of some poets, and the fate of the Jewish tribe of Banu Qurayza in Medina. EP.9–Religion: What is the Qur’an? This episode of the podcast is the first part of a short introduction to the scripture of Islam known as the Qur'an (Koran). Where does the term Qur'an come from? What is a Mus-haf? How is the Qur'an organized? What are the contents of the Qur'an? We continue talking about the Qur'an. We take a look at how Professor Mohammed Arkoun defined the Qur'an, at the way that most Muslims have related to the Qur'an, and at what the attributes of God in the Qur'an can tell us about its message. This episode briefly introduces the concept of prophecy, its history in the Near East (including the well-developed tradition of Biblical prophets), and the way the Qur'an positions itself vis-à-vis this history. We also discuss the terms nabi and rasul as well as the prominent figures of Abraham and Moses. This is the first episode in a multiple-episode series on a musical style from North Africa that came to be a strong player on the World Music scene in the last two decades. It is called Rai. This series will consider the development of Rai music within the complex Algerian cultural and socio-political settings of the twentieth century. Throughout the series, we will listen to short musical excerpts from the repertoire of the major Rai performers. Today, we highlight the birthplace and possible origins of Rai and take a look at some precursors of this genre, including the Bedouin Malhun, the Sheikhat, the Meddahat, and al-Wahrani style. This episode includes excerpts from songs by Cheikh Hamada, Ahmed Wahby, Blaoui Houari, Cheb Khaled, and Chebba Zahouania. We continue our journey through the history of Rai Music. After considering the streams of music from which modern Rai music emerges in a previous episode, we take a brief look at less direct, yet significant musical influences on modern Rai like Andalusian Jewish music and modern French Chansons. The episode also highlights the impact of French colonialism on the Algerian environment in which Rai would eventually develop. Included are excerpts of songs by Cheb Hasni, Cheb Khaled, Reinette L’Oranaise, Edith Piaf, and Raina Rai. We continue discussing the story of Rai Music. Among the topics of this episode are the influence of Algerian independence on the development of Rai, the rise of Pop-Rai in Wahrane in the 1970's, and the clash between the Islamist vision and the Rai scene during the civil war of the 1990's. The episode includes musical excerpts from Cheb Kader, Cheikha Remitti, Bouteldja Belkacem, Chebba Fadela, Cheikh Fethi, Chebba Zahouania, Cheb Khaled, Cheb Mami, Cheb Hasni, Cheb Zahouani, Cheb Bilal, and Cheikh Boutaiba Sghir. We continue looking at Rai Music. This episode presents the career of Khaled Hadj Brahim as emblematic in the way Pop-Rai develops from the 1970's to today. Cheb Khaled is arguably the best Rai singer of his generation. His impact on the direction and the success of this musical style cannot be underestimated. He is known as the King of Rai. This episode presents some of the major Rai singers of the 1990's. We encounter Cheb Mami, Cheb Sahraoui, Chebba Fadela, Chebba Zahouania, Cheb Nasro, and Cheb Bilal. We pay particular attention to Cheb Hasni who was considered the King of Love Rai and who was assassinated in Oran during the Civil War of the 1990's. The episode contains musical excerpts from the singers above in addition to short selections from Cheb El Hindi and Cheb Abbes. This episode takes a look at the history of Rai music outside Oran and its region. We pay particular attention to the Moroccan and French Rai musical scenes. The episode contains musical excerpts from Chebba Maria, Cheb Akil, Mohamed Lamine, Cheb Hassen, Reda Taliani, Cheb Mimoun, Rachid Berrieh, Cheb Kamal, Bouchnak Brothers, Talbi One, Cheb Kader, Faudel, Rachid Taha, and Cheb Hasni. Today's podcast provides an English translation of part of a conversation with the late professor Mohammed Arkoun (d. 2010) on Belgian TV*. For most of his prestigious academic career, Mohammed Arkoun was professor of the history of Islamic thought at the Sorbonne University in Paris, France. He also held teaching positions at a number of universities around the world. The following is a stimulating discussion about a variety of topics, having to do with religion, politics, and culture. Today's podcast briefly discusses the transition of the Qur'an from an oral message into a closed codex through political decisions of the community leaders after Muhammad's death. The episode also quickly highlights the difficulties that face modern historians who are trying to make sense of the history of the formation of the Qur'an. Jesus is a significant figure in the Qur'an. How does the Qur'anic Jesus differ from the Jesus Christ of orthodox forms of Christianity? And what does the Qur'anic Jesus tell us about the worldview of the Qur'an and about the environment in which Qur'anic discourse developed? Copyright © 2011 Amine Tais. All rights reserved.